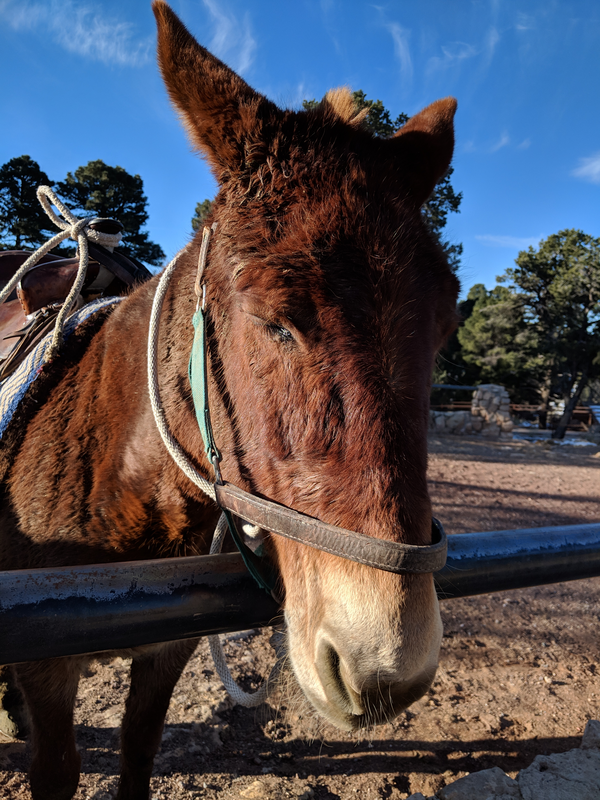 Now, even though Stewy here is a mule and known for stubbornness, I try to keep my mind open and spend lots of time listening to people from all political stripes. Realistically that means I only have to tune in to the likes of Limbaugh or Hannity once every couple of months. Because they both have hours and hours of exactly the same topics for weeks on end. Now, that being said, I noticed on one of my semi-fortnight forays into the mono-topical world of conservative talk radio that they kept saying that the judicial system had apparently, just recently, developed a “two tiered system of justice.” Apparently this sudden revelation has shook them to the core and they worry about the very foundation of our Republic. Really? What the hell rock have they been living under for the last 270 years? Limbaugh and Hannity’s sudden revelation of an unequal justice system seems to be predicated on two things. Hillary Clinton wasn’t locked up for deleting 30,000 emails. And the DOJ decided to launch a Special Counsel to look into whether their was more than just a bromance between Putin and Trump. Justice in this country has apparently always been fair. Salem Witch Trials? Fair. Not a single jail sentence for mortgage or financial executives that bankrupted the entire financial system in 2008? Fair. No in the long arc of judicial equity it seems many things have escaped Hannity and Limbaugh’s definition of a “two tiered” system of justice. It certainly didn’t apply to Limbaugh when he got so hooked on pain medications that he somehow “legally” obtained tens of thousands of them. He took so many that he destroyed his hearing and needed cochlear implants to restore it. In our previous “one tier” system of justice he suffered the same consequences as any other drug addict caught with thousands of Oxycontin in their pocket. Oh, wait, no he didn’t. Other glaring examples of a “two tiered” system have also apparently escaped their attention. The Supreme Court can simultaneously rule that Corporations are People, but also, they are not People. It just depends on who is asking. They are People if you as the corporation want to donate more money to a candidate than the entire cumulative GNP of several countries. They are not People however if you want to charge one of their executives with murder. How do you reconcile these two seemingly diametrically opposed principles? In the case of political donations the Supreme Court ruled that since corporations are just large groups of people, the executives of those corporations can donate for ALL OF THEM. It’s a free speech thing. And free speech applies, to well, people. Not tornadoes. We’ll get to that later. Want to charge a corporate executive with murder? That’s more complicated. Cause, well first of all, how can you prove that a person within that corporation knowingly did something that resulted in someone’s death? Oh, you say you have corporate documents prepared by, well the people that run a corporation? These documents state that the ignition switches that this corporation has been putting in their vehicles for decades were found to be defective and have definitely killed dozens of people? That seems bad. It seems like someone should possibly be held accountable. But murder, no they didn’t know when they designed the switch it would kill people. Oh wait, you have more? That same corporation decided to keep installing these same switches AFTER they came to this realization. This decision was made even though they KNEW these defective switches would continue to kill people. There are yet more documents from this same corporation that outline the reason they kept installing these faulty switches. The people within this corporation decided that if they redesigned the switches this was tantamount to admitting the prior design was defective. This would then make the corporation liable for monetary damages in lawsuits regarding prior deaths caused by the switches. It was decided it was less expensive to keep killing people. Reasonable people might conclude the people that made these decisions were culpable for manslaughter and most probably 2nd or 3rd degree murder. But not the Supreme Court. They stated that Corporations are not people. So therefore corporate executives that knowingly make decisions to kill people can’t be charged with manslaughter or murder if these decisions were made by the corporation. It would be like charging a tornado with murder. I told you we would get back to that. But hey if that same tornado has 5 million it wants to donate to a candidate or their PAC, that’s fine. So said the Supreme Court. Makes perfect sense. No “two tiers” here, move along people. Apparently bankrupting the Republic with no legal ramifications is just fine. Apparently killing people based on whether they floated or not was justice well served. Apparently the Supreme Court saying a corporation has first amendment rights like a person, but is not a person when it comes to murder is acceptable. Apparently none of this is or was a “danger to our Republic”. Nope, up until Hillary was “improperly” exonerated, and Trump was “unfairly” pursued, we had just one tier of fair and equal justice. Apparently it’s easier to understand all of this when you’re high on Oxycontin.